I formula feed my son. See I told you it was silly. The important thing is he's being fed right. And I'm feeding him milk and not tea or diet coke. That he's gaining weight. That he's happy and healthy. That he's doing well. So why do I feel like it's a dirty little secret? Why is it I feel embarrassed to admit out loud here that I formula feed. Why do I feel like I've done things wrong by my son because I formula feed. I shouldn't. I have such a respect and admiration for all those amazing women out there who breast feed. Who are strong, much stronger than me. Who keep trying. Who battle through. Who feed there children in a most natural way. I really wanted to be that mum. To be that mum who would sit and breast feed her child. Be that in sync with their Little bundle. I am not one of them. I tried. In the early days, it worked so well. Baby was doing well. I was doing well. All was going well. But then I fell apart. I cried. A lot. A good friend of mine called me and I just cried. I felt like a failure. I felt like I wasn't being a proper mum. I felt like I was letting my son down. But giving him that bottle was like a weight lifting off my shoulders. I felt like I could breathe. I sat and gave him a bottle and all seemed calm. It's hard to explain and it's hard to admit that's how I felt. The early days I struggled and I could see that. I was a complete bundle if nerves. My aniexty was through the roof. I was worrying about so much but the bottle meant that his feeding was not one of them. He took to the bottles well. Has fell into a routine. And by the time hubby was back to work I was on a much more even keel. I expressed for a while but we are now exclusively bottle fed. It's hard to find the words as I feel like I have to explain why I'm bottle feeding. But that shouldn't be the case should it. I'm feeding him. That's the important part. Not breast feeding him has not given us any less of a bond. He's my little buddy. He loves being close to me. He sleeps better holding my hand. 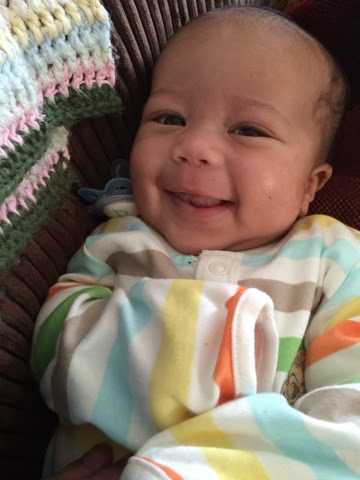 He smiles when he sees me or hears my voice. I'm his mummy. We are in a good routine now. I follow his cues. He follows mine. We're a team. We've been using the MAM bottles and I love them. We had a few instances in early days with leaking but that's better now. I like the fact that I can take one bottle out to a house and sterilise it there in the mircowave. The teats are nice and small and don't overwhelm little one. We are on cow and gate comfort milk but have added gaviscon as little man was quite sick in the early days. But it's settling now. So there. I'm a bottle feeding mummy. That wasn't quite so bad hey? I shared the same worries when I had my son. Friends commented that bottle was not best but it was best for us. He was calmer as he was getting what he needed and I was calmer happy result all round. Listen to yourself and your little man and do what's right for you guys. Ps my son is now 6ft at 13yrs old and is happy and healthy. At the end of the day that's all that ever matters as a mum. I had to give up breastfeeding/expressing when I had to have meds due to my gallbladder/gallstone issues, I felt guilty but after a few weeks I realised I did the right thing. I wasn't particularly good at breastfeeding/expressing anyway so it really isn't the best for every mum! Your little one is thriving and looks so cute! That is the most important thing! Both my babies were bottle fed. I tried breastfeeding, my first was not interested and after 5 days of screaming and losing weight, she calmed down and slept after her first bottle feed. My second couldn't latch on due to a tongue tie that was not discovered until we were home and he also had low blood sugar and the only thing to bring his sugars up was formula. You have nothing to feel guilty about, your son is loved and has a full heart and a full tummy - where that milk comes from doesn't matter. You are a great Mum. Remember that. He is gorgeous by the way. 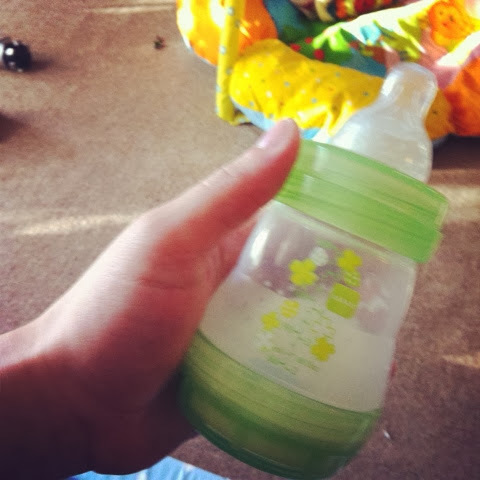 I bottle fed all 3 of my children and loved it - we developed a good routine. It also gave my husband a chance to be part of the feeding sessions building his bond with our children. He also got some of the night shifts when he wasn't in work! Same! I have been planning my own post but have written about it before on my blog. 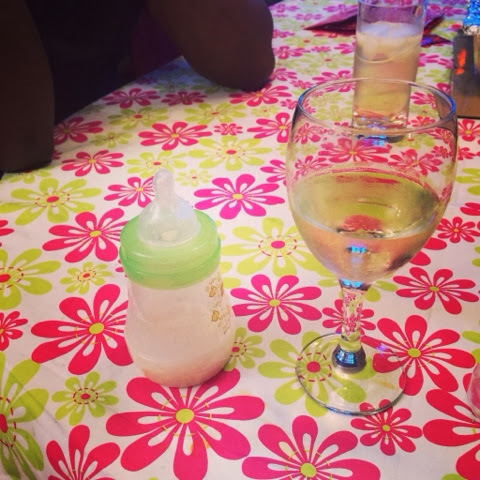 Mummy groups seems so overwhelming and scary to pull out the bottle when they were all breast fedding but I agree with all of the comments above. I had an emergency c/section too and this makes feeding harder and they struggle to latch on as mine did. There is nothing to be ashamed of, nothing to feel guilty of and nothing to worry about. You are looking after your children in a way that is best for THEM and YOU. At the end of the day that is all that matters. Coming from a bf'ing mommy, you are no different from me. I even envy you because you have some liberties I am dying to have (date nite). I bf 3 of my 4. One for 12 months, one for 4, currently on the 8th month with my lo, and one not at all. You're an awesome mommy! You keep doing what is the best for you and your little one!